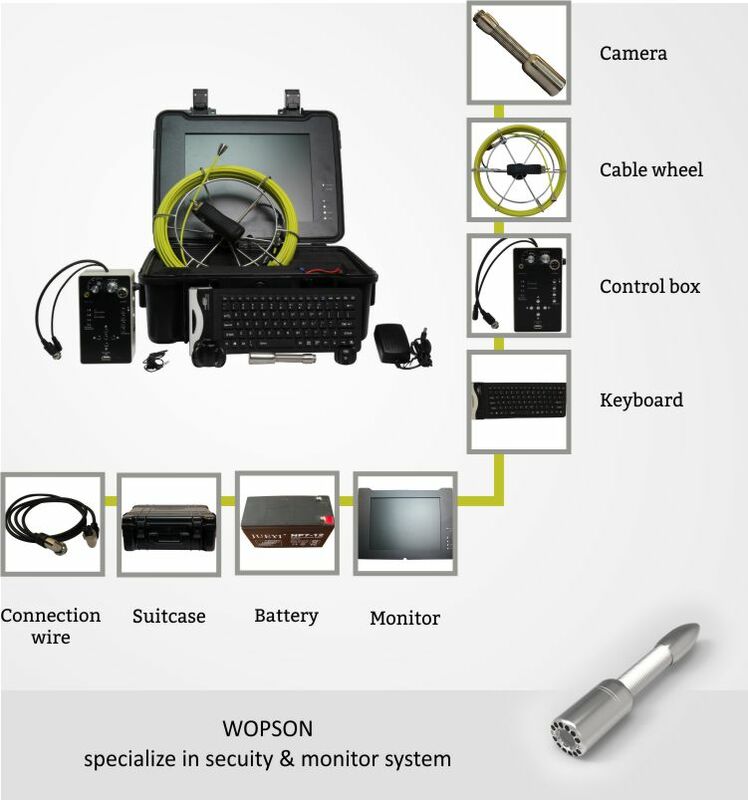 The WPS-10KD electronic endoscope is used to inspect the small entrance, and to detect the damage condition of the long industrial pipeline, the internal space of container and other concealed space inside, corrode, weld, and jam, Application inspection field: Boiler water wall pipe, power station, nuclear power plant, petrochemical enterprise heat exchanger, high pressure furnace tube, Heat exchanger pipeline production enterprises, etc. 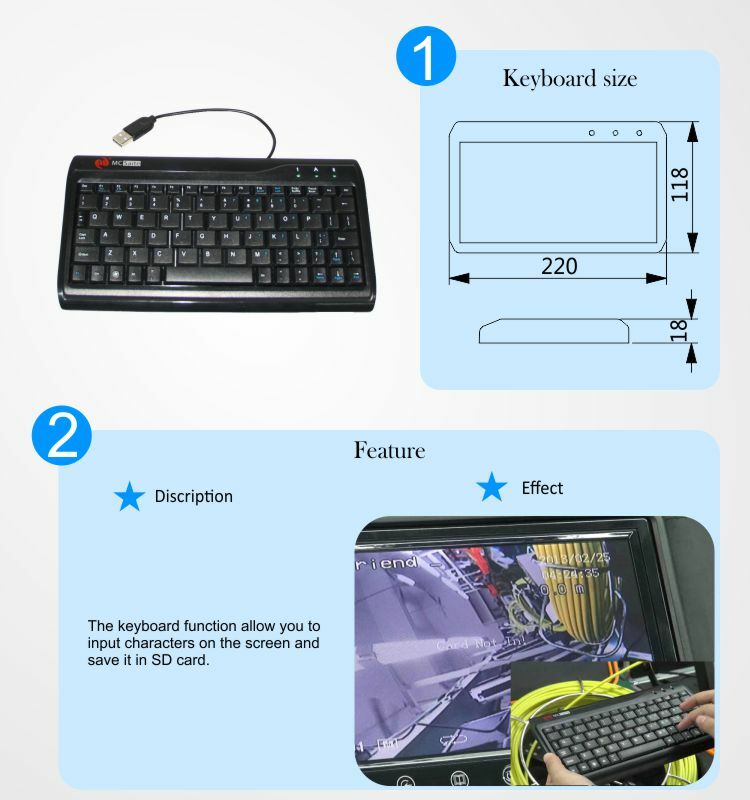 15-inch High-definition liquid crystal display, rendering the image color real and bright. With video and photo features, and can be stored, standard 32G SD memory card. Testing line for GFRP material outer sheath, wear-resistant, waterproof, oil-proof, acid and alkali corrosion. The use of AC-DC power supply mode, with rechargeable lithium battery can work continuously for 5 hours, convenient at the scene without AC power. Portability is good, the entire instrument placed in a device box, transportation is convenient to carry. 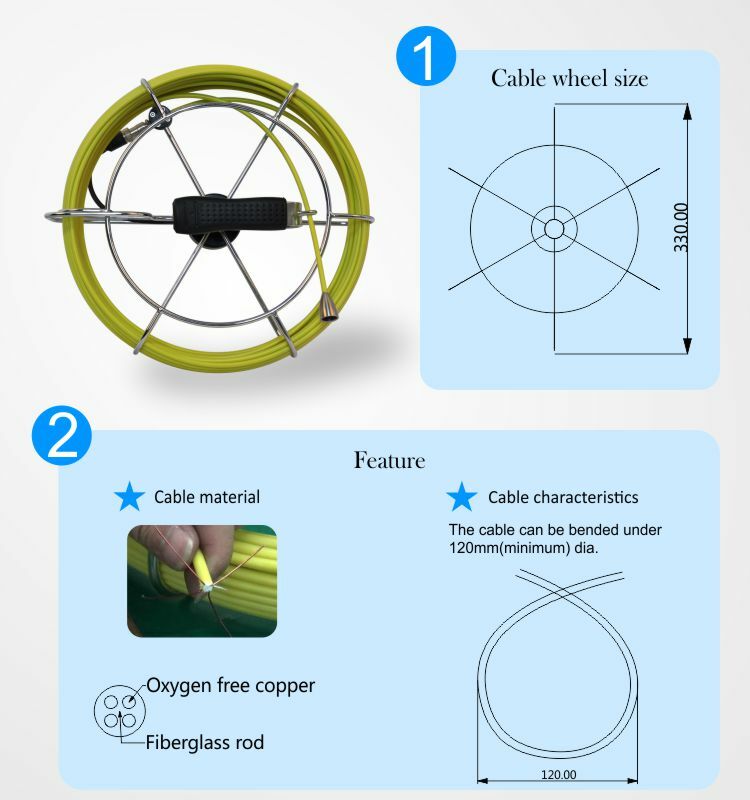 Zero-angle, suitable for macro detection of foreign body, cleanliness, corrosion, weld, etc. AC/DC Hybrid power supply mode. Built-in battery in the case of full power can work continuously for 5-6 hours, the general domestic equipment on-site need external power supply, de products on-site versatility, more suitable for complex environmental use. Photo, video and various control buttons are integrated into the mainframe control panel and can be easily manipulated by one hand. Standard 32G SD memory card, through the reader and computer connection, video data processing, printing, burning and so on. Other devices generally do not have a one-shot function, the need for external equipment, operation is very complex. 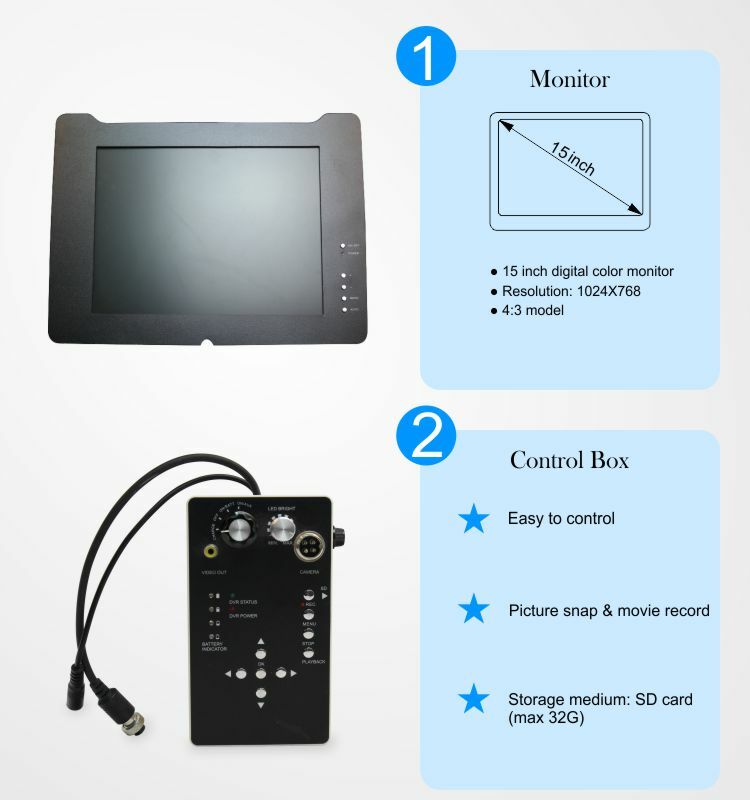 Easy to carry operation, high clarity, large lens detection range, one camera video function is powerful, suitable for a variety of environmental use, cost-effective high maintenance costs low. 32G capacity SD memory card.